Cross docking eliminates the need to hold inventory – improving speed and efficiency. What does the U.S. military and Walmart have in common? They both value efficiency and expediency. The military and WalMart both used cross docking to improve the effectiveness of their organizations. They both run operations on a massive scale, and they both look for any tools they can use to streamline their logistics. Cross docking handles all of that for them. And it can do the same for your business. We’ll show you what cross docking is, how it works, and its pros and cons. By the end, you’ll have a much better grasp on whether or not cross docking is right for your business. Cross docking is a system that virtually eliminates the need to hold inventory. Products are delivered to a warehouse where they are sorted and prepared for shipment immediately – usually being reloaded onto other trucks stationed at the same warehouse. While cross docking does expedite the shipment process, you shouldn’t skip critical steps like quality control and inventory tracking. It still requires a lot of careful planning and handling. Cross docking isn’t complicated, but it’s not easy. It requires military-like precision and perfect organization (it’s no wonder the U.S. military started using it back in the 50’s). You can pick and choose what products you want to cross dock and what products you want to handle traditionally. If you own your warehouse, you’re in complete control. If you outsource your warehouse and shipping, you can talk to your 3PL provider about implementing cross docking in your business. Now let’s take a look at the pros and cons so you can decide if cross docking is the best solution for your business. Cross docking is made to be a quick and speedy process for distributing your goods. 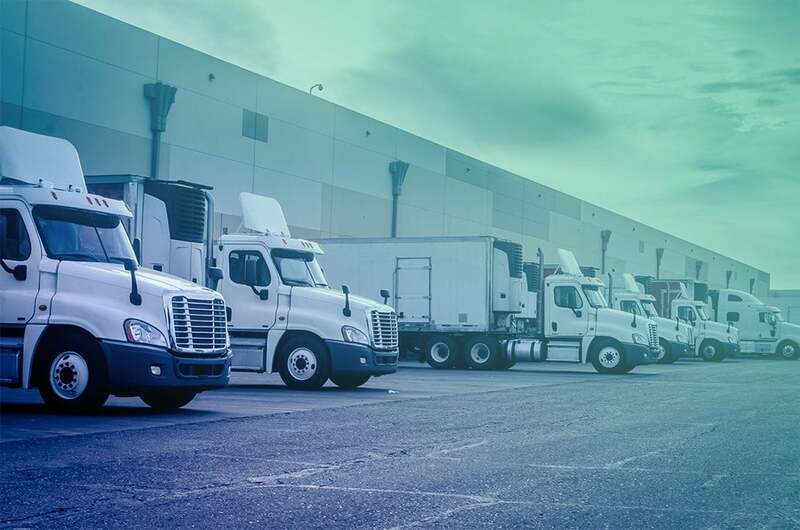 The only way to make cross docking work is by simplifying and streamlining your loading and unloading systems to swiftly move goods from one truck to another, which results in faster shipments to your customers – a powerful edge over your competition. Cross docking provides a dramatic reduction in your cost of inventory. There’s virtually no stock that you’re storing for any length of time – everything is transferred from one truck to another, almost immediately. You might hold a few items while waiting for a truck, but if it’s in your cross docking warehouse, that means it will be leaving just as soon as it arrived. When you cross dock, you simply receive the products, scan them into your OMS, and then ship them off. No inventory to worry about becoming obsolete. No reordering. No stockouts. No shrinkage. With cross docking, you no longer have to pick and put away stock. This equals a major reduction in labor costs. Less work required means fewer workers needed. Lead time reduction is a significant benefit to cross docking. Your products are being moved faster and more efficiently, which means they’re reaching your customers more quickly. This improves your customer service and reputation for fast delivery times. Precise organization demands high-quality technology, efficient work processes, and fast workers. You may be saving money on inventory and warehouse costs, but you’ll have to buy forklifts, pallet trucks, conveyor belts, and anything else required for smooth and speedy operations. You may also need electronic data interchange (EDI) to streamline the purchasing process and SCM software to track your goods from suppliers to your docks and onto your customers. And, because multiple deliveries happen throughout a single day, every product has to be unloaded and reloaded within precise time slots. Otherwise, the dock will become congested, leading to potential damage or loss of goods. Cross docking relies on a fleet of trucks and other transport carriers. You’ll need space outside the warehouse to house the trucks if you plan on owning them and not outsourcing them. Similarly, you’ll still need to purchase docks to implement this system. Some suppliers may not be able to handle the tight deadlines that cross docking demands. There’s very little room for error in both quality of goods and lead time. If you want to make cross docking work, you should have trustworthy and reliable suppliers. If you’re selling office supplies, for example, and your rate of inventory turnover is relatively low, then you don’t need to invest in cross docking and the tracking technology, transportation carriers, and warehouse space that comes with it. Cross docking is best used by high turnover businesses in industries like food, medical, and retail fashion. Cross docking requires efficient organization, streamlined transportation processes, up-to-date technology, high turnover, and low lead time. If you can handle that, or find a 3PL that can provide it, then cross docking is right for you. If you can’t handle those things, then perhaps you should stick with a more traditional warehouse approach. Of course, if you do choose a more traditional approach, you’ll probably need a cloud-based inventory management system along with a few other tools for effectively running your business – in which case, you’ll need DEAR Inventory. If you’re running a traditional warehouse, you’ll need software that can easily manage growing product volumes, streamline your stocktaking process, integrate with critical business apps such as Xero and WooCommerce. Our cloud-based inventory management system will give you real-time insight into your inventory levels, automate reorders, and generate reports for accurate forecasting.